October 1 marks International Coffee Day 2018, which celebrates one of the most popular drinks around the world. But your morning cup of joe might be doing more than just setting you up for the day, with recent research suggesting that it may also bring a variety of health benefits. Here we round up some of the findings. Research presented at the American Heart Association’s Scientific Sessions last year suggested that drinking coffee may decrease the risk of developing heart failure or having a stroke. The preliminary research showed that compared with non-coffee drinkers, drinking coffee was associated with a 7% lower risk of developing heart disease and an 8% lower risk of having a stroke with every additional cup of coffee consumed per week. After checking the validity of their results with two studies with similar sets of data the findings still held, with the association between drinking coffee and a decreased risk of heart failure and stroke consistently noted in all three studies. US research published earlier this year suggests that you might not even need to drink coffee to reap some of its benefits. After carrying out a series of experiments researchers found that just the scent of a cup of joe, which has no caffeine, could help give people a cognitive boost that improves performance on certain tasks. Participants not only believed that they would feel more alert, energetic, and perform better after smelling coffee, but they also scored significantly higher on tests, suggesting the scent of coffee may cause a placebo effect. A large-scale study presented at last year’s European Society of Cardiology (ESC) Congress found that Mediterranean coffee drinkers may benefit from a lower risk of death. After following 19,896 Spanish adults for an average of ten years, researchers found that participants who consumed at least four cups of coffee per day had a 65% lower risk of all-cause mortality compared to those who never or almost never consumed coffee. They also found that overall, there was a 25% lower risk of all-cause mortality for each 2 additional cups of total coffee per day, with the positive effect even stronger in those over the age of 45. A report published late last year found that coffee may also reduce the risk of liver diseases such as liver cancer and cirrhosis. 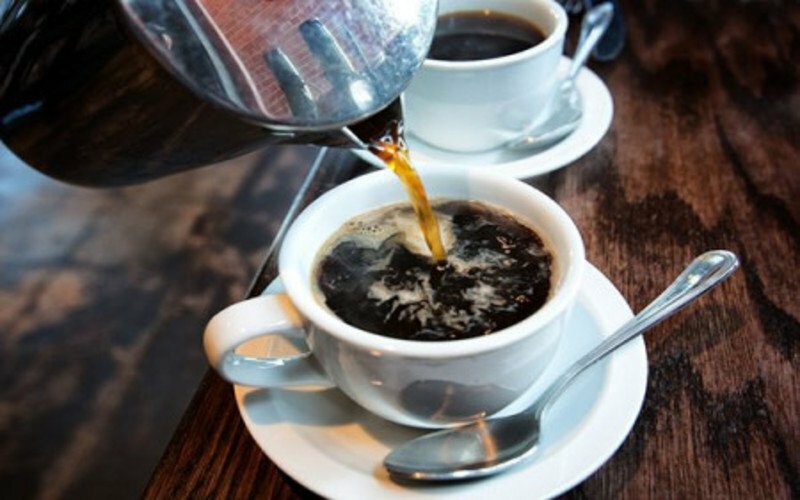 After meeting to discuss recent research into coffee and liver health, experts from seven European countries found that meta-analyses suggest that drinking coffee is associated with up to a 40% risk reduction of liver cancer compared to not drinking coffee, while research from the US and Italy suggests that drinking coffee is consistently associated with a reduced risk of cirrhosis, with a potential risk reduction of between 25 and 70%. The risk of chronic liver disease also appeared to be reduced by 25 to 65% for coffee drinkers, depending on the amount consumed.